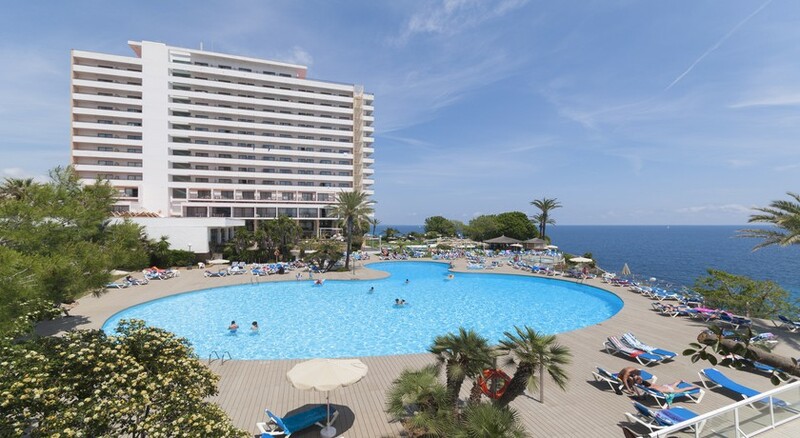 Sol Mirador de Calas is a blissful abode for those looking for a tranquil holiday on the beaches yet enjoy all the modern amenities that a luxury hotel offers. It sits between the wonderful beaches of Cala Domingos and Cala Antena, so you’re never too far away from sunny sands and azure waters. 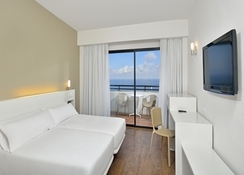 The hotel’s spacious rooms come with modern décor and splendid sea views. A large lagoon-style fresh water swimming pool equipped with sunshades and a terrace overlooking the sea is another attraction. This 4-star hotel features a superb buffet restaurant that serves local and international cuisines, a stylish Sports Bar offering a handsome choice of snacks and drinks, fitness centre, a range of sports activities and entertainment programme in the evenings with live music. Sol Mirador de Calas has cheerful, spacious rooms that offer fabulous views of the Mediterranean Sea. The rooms come in various types such as Sol Sea view, Xtra Sol Sea View, Sol Junior Suite Sea View, Xtra Sol Junior Suite Sea View, Sol Suite Sea View and Xtra Sol Suite Sea View. All the rooms have furnished balconies and are equipped with modern amenities such as air conditioning, flat-screen TV with satellite channels, en-suite bathrooms, toiletries, hairdryer, safe and lots more. 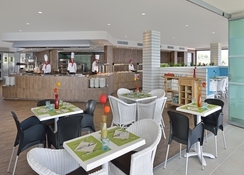 The hotel has a buffet restaurant that serves international and regional cuisines. The décor is cheery and guests can admire wonderful sea views while dining. It serves all major meals of the day and has a special menu for those suffering from Celiac disease. The show cooking area lets diners watch how their food is being made. The Sports Bar serves snacks, drinks, cocktails and long drinks all day long. There’s a self-service area for all-inclusive guests who can choose from a wide range of snacks and alcoholic or non-alcoholic drinks. There’s a lagoon-style fresh water swimming pool equipped with sunshades at the hotel, plus a sun terrace that offers sea views. Guests can take part in the various sports activities organised in the hotel throughout the day, including aqua spinning, aqua gym, Latin dancing and fitness training. The nearest golf course is 11 km away and the beach provides opportunities for water sports. The hotel also arranges boat hire, bike hire, scuba diving classes, Flamenco shows and cultural visits. Evenings witness entertainment shows with live music.